Encore 80’s Night Halloween Party with Mark Olexson and the A-Deez at Federico’s Supper Club, 1728 Commercial Drive, on Friday, October 31st. Three course meal for $50 (includes dinner, show fee concert & dancing). Dinner from 6:30 pm, Performance 10:00 pm. To make your reservation T: 604-251-3473. Halloween Night Tribute Terror at the Wise Hall, 1882 Adanac Street, with a long line up of music including The Ramores, The Dirty Magazines, The Manglers, The Spasms and featuring members of The Jolts – SNFU – Go for Three – Cast of 1000s – Dirt – Death Sentence – Swank – The Hip Type – The Enigmas – The New Black – Nervous Talk – Insex – The Pasties – The Choir Practice – The Cadaver Dogs – Jackalope – Thrill Squad – The Cane Toads – The Ballentynes – The Excessives – Little Guitar Army. Doors open at 8:00 pm, music at 9:00 pm SHARP! This is a 19+ event. Tickets are $15 and available at The Wise Hall & Lounge, Red Cat Records & Highlife Records . Parade of Lost Souls. This is a beloved East Van event with the location to be announced at midnight October 31st on the Dusty Flowerpot Facebook page. Expect a parade of wild costumes, giant puppets, live music, a Thriller Flash Mob and performance art created by local community members. The Parade of Lost Souls will take place in East Vancouver on November 1st 7:00 – 10:00 pm. This event is free, all ages. Costumes are encouraged. Fright Nights at Playland, 2901 E. Hastings St. Seven haunted houses, 13 rides, a fire show, sideshow comedy and Monsters of Schlock. Fright Nights is now on until November 1st (enter E. Hastings & Windermere) tickets $29 – $63 and available at FrightNights.ca. Trick Or Treat in the East Village: October 25th Sat. Noon – 3:00 pm. Come dressed in your Halloween finest and trick or treat your way along the stretch from 2100 to 2800 East Hastings Street. Britannia Community Centre: Halloween Howl – Sat. October 25th (1 – 8 years). You are invited to a FREE spooky community events with entertainment and ghostly games and, of course, tricks and treats. Event takes place in Gym D from 1:00 – 3:00 pm. Britannia Community Centre: Family Pumpkin Carving – Sun, October 26th (1:00 – 3:00 pm). You are invited to come celebrate Halloween by carving a pumpkin with your family. Cost is based on a family of 4 and will include 2 pumpkins. Additional pumpkins can be purchased for $3 but must be done at the centre. Registration is requested. Hot chocolate and carving utensils will be provided. All children under 12 years of age must have a parent or guardian present. Cost is $6. 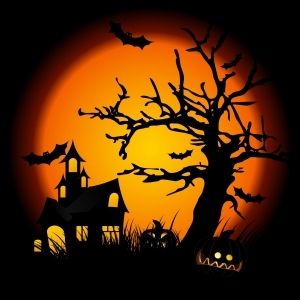 Sunset Community Centre: Haunted House & Carnival – October 24th 6:30 – 9:00 pm. Haunted House, carnival games, trick or treating & concessions. This is a FREE event for all ages.